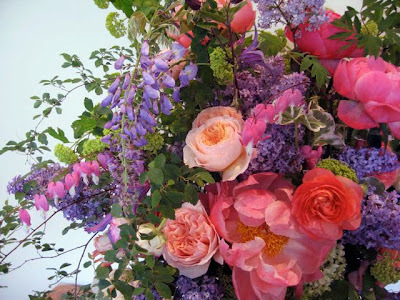 Who better to celebrate the art of arranging flowers than with your mother! We're encouraging daughter/mother teams to sign up together, but this class is open to all. 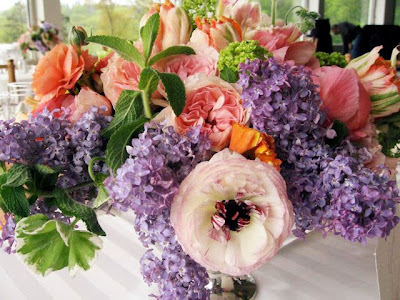 We'll go over the techniques of creating an arrangement with lilac, lily of the valley, peonies, snowball viburnum and a host of other May flowers. 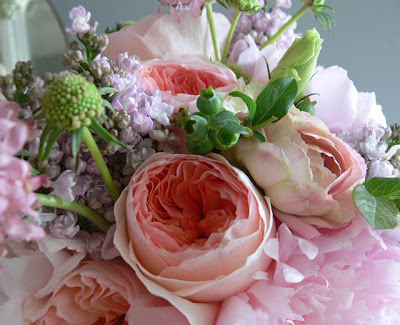 Each lady will create an abundant spring masterpiece in a stone footed urn. these pictures in your new class posts. I can't take it. I die!